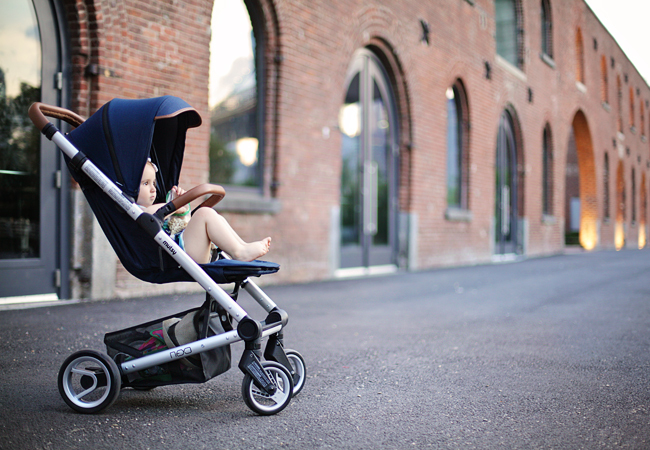 Last week we had some lovely outings with our new Mutsy Nexo stroller. 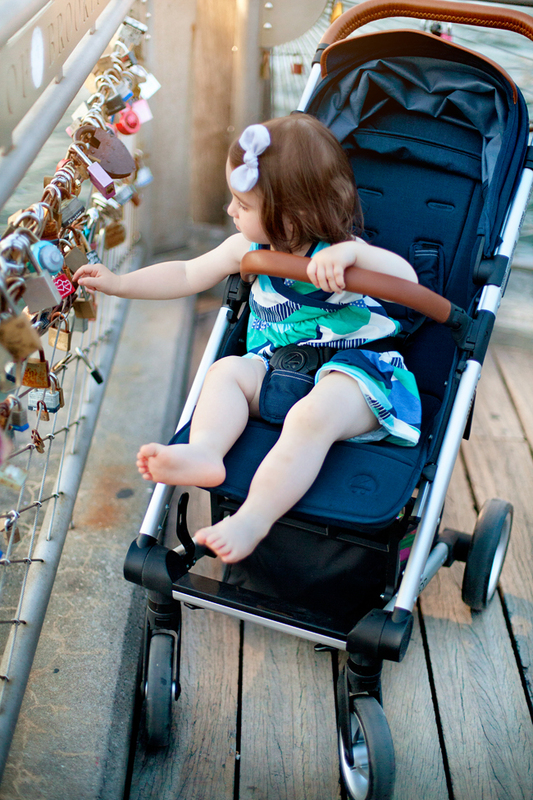 The weather cooperated, Little Missy did her best to cooperate, and mama was in her element, clicking away. 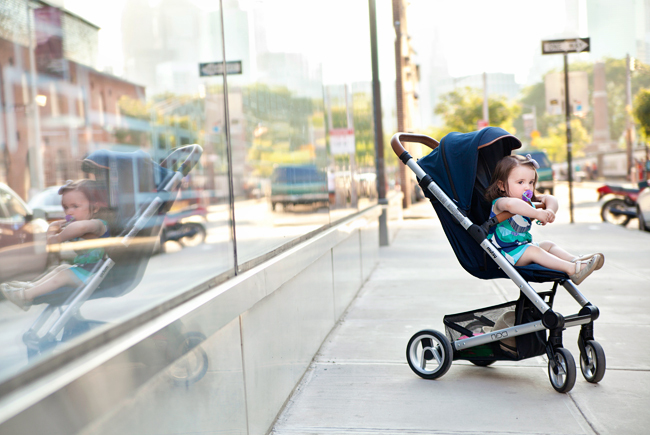 The Nexo fits very well into the urban scene and it's a pleasure to push. 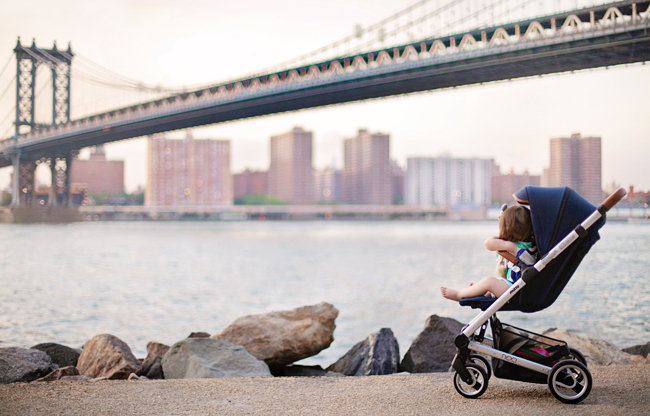 This little stroller is very agile and maneuver effortlessly with one hand. Ben got a turn in the Nexo as well. 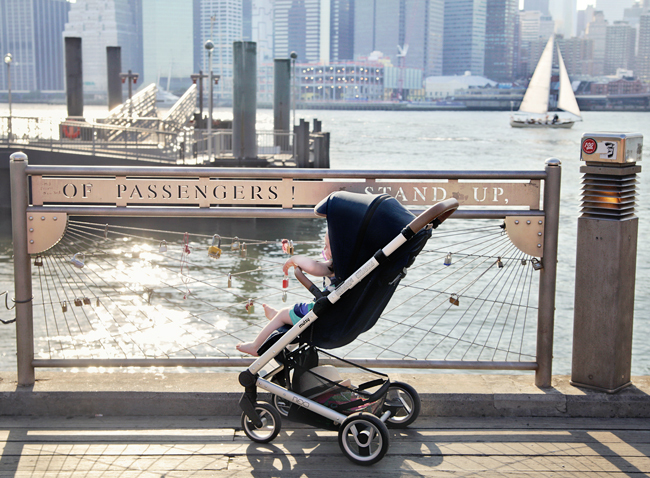 He was tired of walking and Abby needed a break from sitting in the stroller. 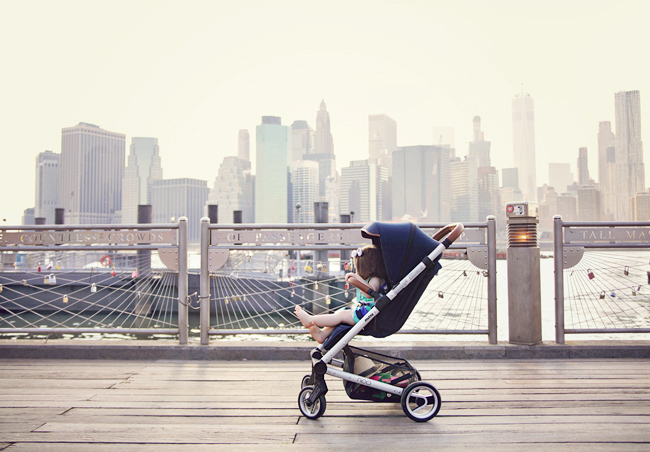 It's funny, how kids go through a "freedom" stage, and when they get a little older and realize freedom is not all it's cut out to be, they want back in the stroller. 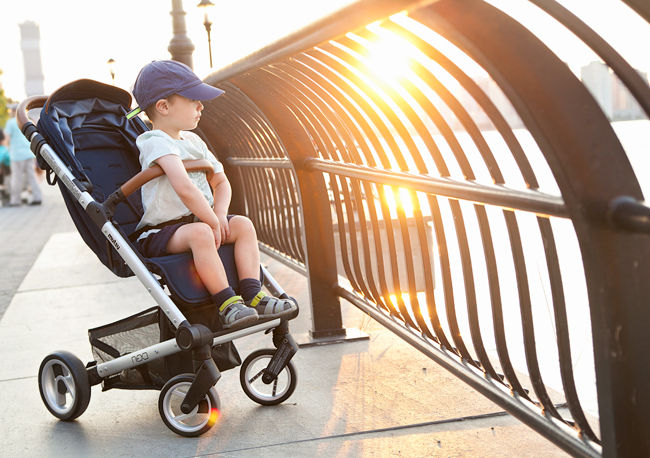 At 3.5, Ben has a renewed love and appreciation for strollers. The sunlight is quickly fading. 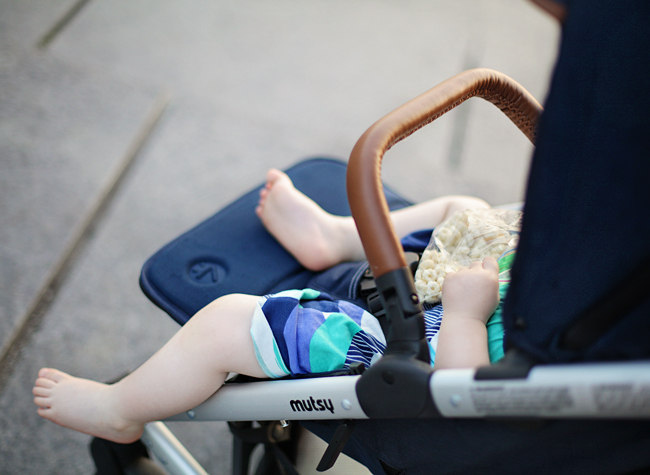 It's been a long day for Little Missy. Now, all she wants is to sit back and meditatively munch on her cereal. I'm glad she's able to prop up her feet and relax. 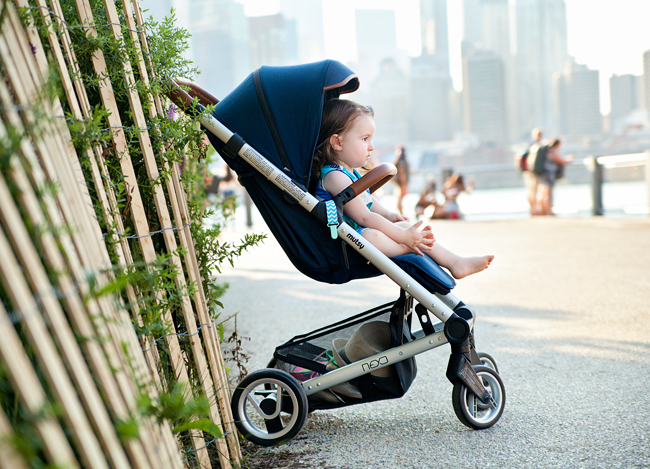 We really enjoyed getting to know the Mutsy Nexo. As always, detailed review coming soon. Please stay tuned!